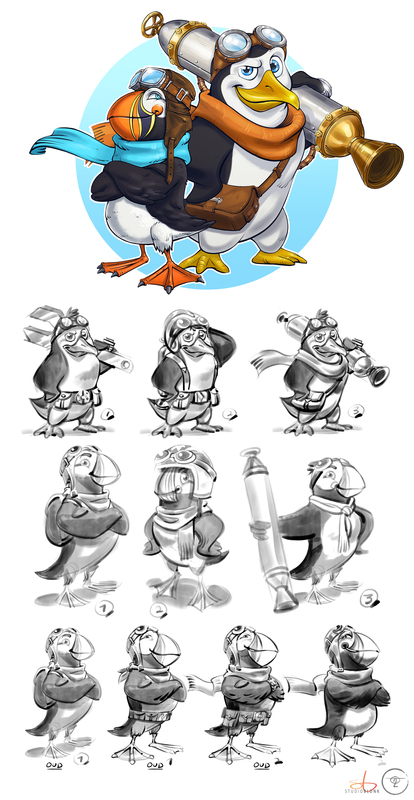 Here’s a couple of characters I designed in collaboration with the amazing visual designer and concept artist Stefan Blonk. They’re meant to be mascottes for a spectacular new rollercoaster ride in the Chinese Chimelong Paradise theme park. 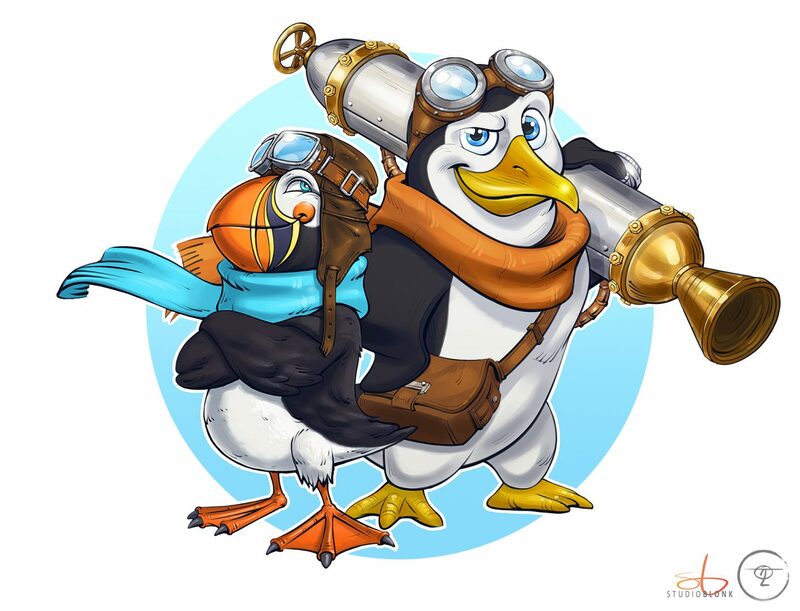 We opted for a classic retro Aviator / 1930’s kind of style, where the Penguins race against the Puffins for the ultimate prize during the yearly Great Ocean Race! Strap in, it’s going to be a one hell of a ride!